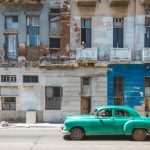 Cuba travel tips and advice — 11 things you need to know before visiting Cuba - Living + Nomads – Travel tips, Guides, News & Information! In the words of a local artist and friendly guide I met on a recent trip to Cuba, “The only way to understand Cuba is to be irrational.” The island nation is a place of paradoxes: one where you’re at once in awe of Havana’s history and beauty, and disheartened (possibly even resentful) that the Spanish colonial homes and mid-century facades are crumbling to the ground. Cuba is the rare country where you won’t find McDonald’s or Zara, or even a Coca-Cola; where Wi-Fi is inaccessible not by a minority of the population, but the majority. Yet its medicine and education surpass the Western standard, and are accessible to all. Cuba’s people are its greatest asset: intellectual, cultured, and passionate, with no limits to their generosity and optimism despite the limitations imposed (like saving $2 of a $10 monthly salary for an hour of Internet). Where there is an ambient (unspoken) resentment toward the government, there is also gratitude. 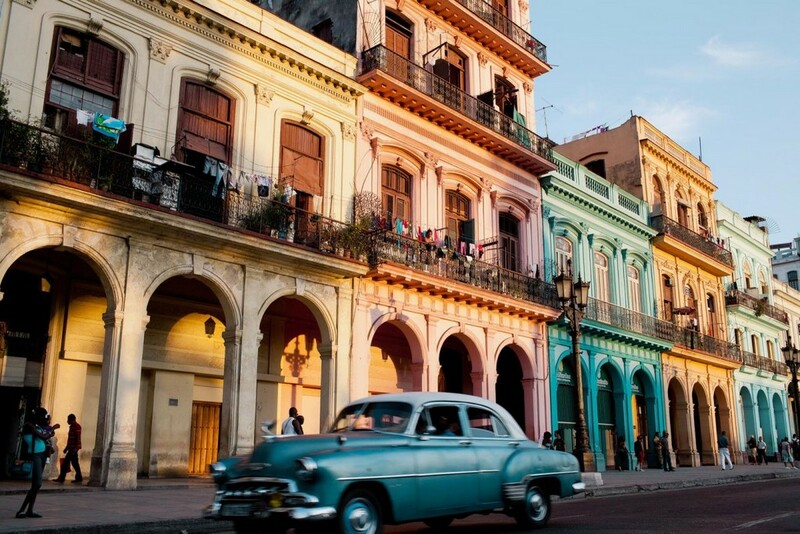 Cuba is a country of contradictions, and that’s why it’s so appealing. You won’t figure it out, and it will leave you dizzy. 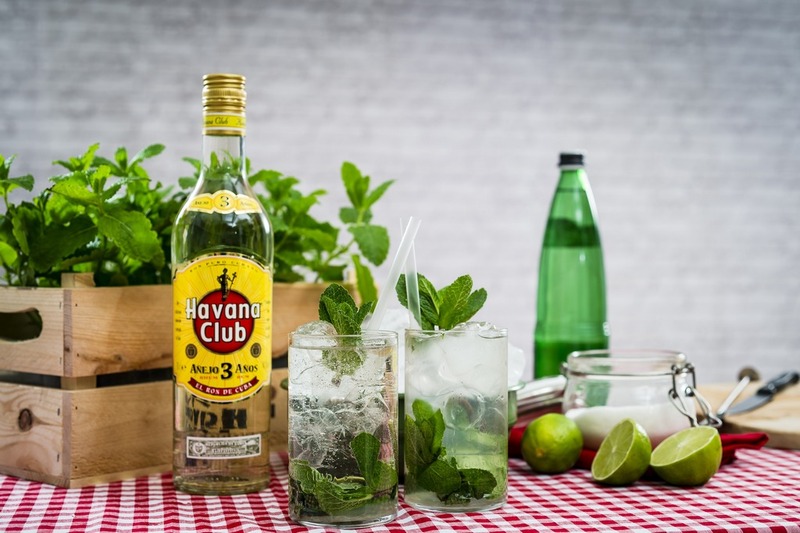 But at least you can head to Havana with a fair warning—and a few tips that will come in handy along the way. Cuba is not a spontaneous getaway location. The trip requires extensive preparation, and you can’t go without a reason for your visit—and “sitting on a beach with a mojito” won’t cut it. 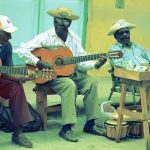 Go through a cultural travel agency like Insight Cuba that promotes “people-to-people” interactions. 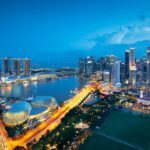 They offer a tailored and intimate itinerary so you won’t be stuck with a large group of tourists; it’s the kind of tour group for people who normally avoid tour groups. If you stay in Central Havana, you’ll have to take a cab to get away from your hotel. 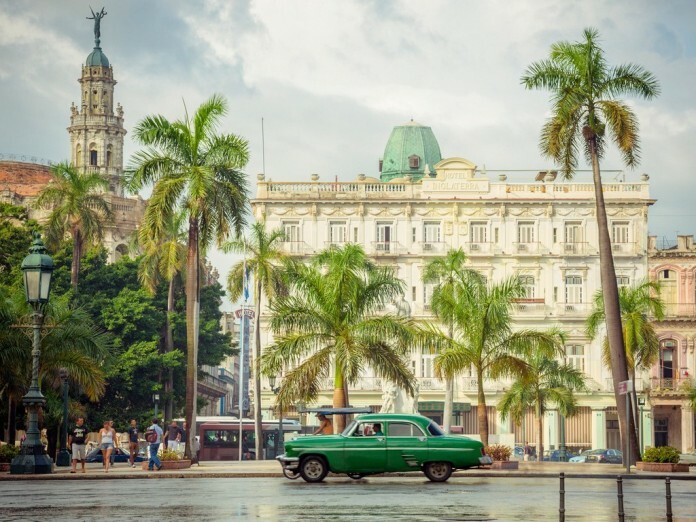 Instead, stay in Old Havana where you can explore on foot, be close to popular cafés and bars, and browse the vintage book market on Plaza Vieja when no one else is around. We’ve had good experiences at the Hotel Santa Isabel. 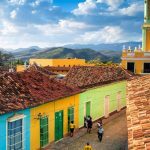 Tack on a couple days in Trinidad or Santiago de Cuba—these smaller cities reveal a different side of Cuba. 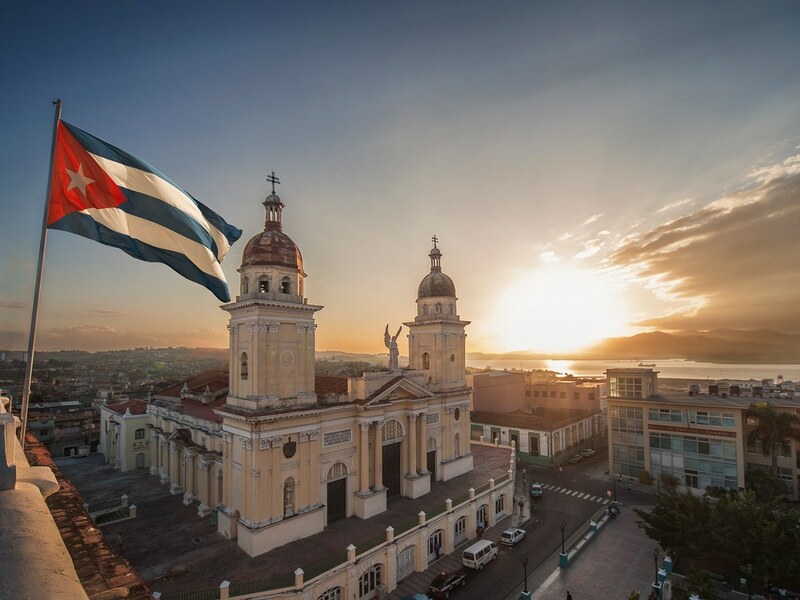 Santiago de Cuba is substantial if you want to immerse yourself in the country’s history, and Trinidad—a smaller, walkable city—has beautiful colonial architecture. Cuba is not the right destination if you’re looking for a relaxing stay at a luxury Caribbean resort. 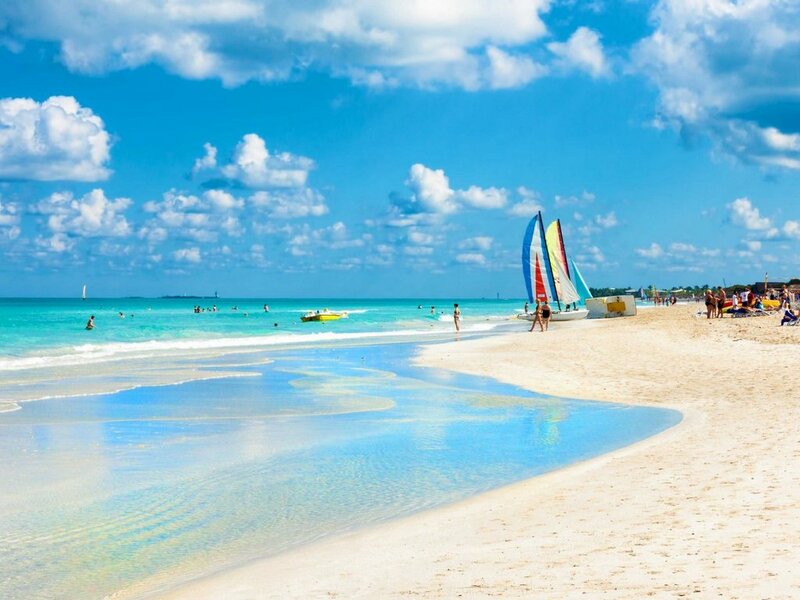 Though you may have heard about beautiful Varadero beach, its government-owned hotels will disappoint, lacking most of the amenities you expect of beach-side resorts. You’re better off heading straight to Havana, or going on an excursion to Trinidad or Santiago de Cuba. …but explore on your own as well. 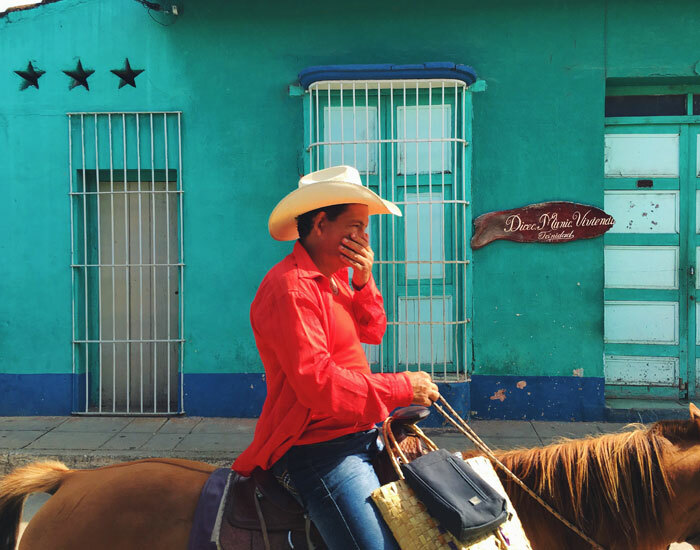 Guides can create opportunities for you to speak with local artists, academics, private business owners, all from which you’ll learn more about Cuba than you would in a museum. They can also help you with local recommendations and adjust your itinerary as desired. And the U.S. government just allowed individual “people-to-people” tours, as long as you can prove you have a full educational itinerary while you’re there. Remember to make reservations at privately run paladars. These restaurants—located in private homes—offer the best food you can find in Cuba, and the good ones fill up quickly (though lower your culinary expectations—trust us). Don’t miss out on the ropa vieja at Doña Eutimia, or on a true café cubano. 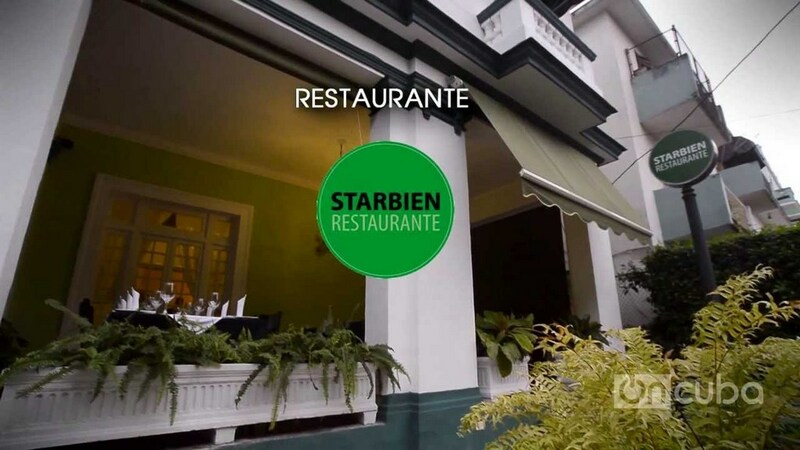 Check out Starbien for lunch, and Rio Mar or La Guarida for dinner. 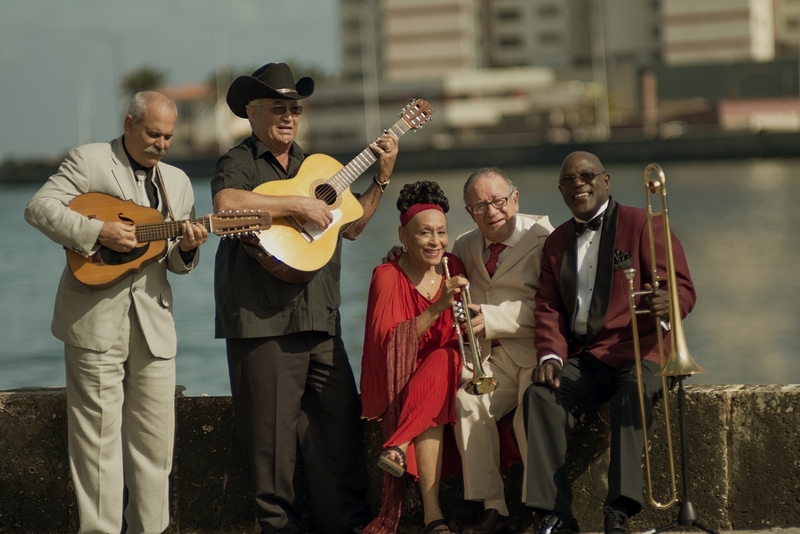 You’ve heard all about the Buena Vista Social Club, and although you may be eager to witness their greatness, beware: Their performances (which also begs the question: which knockoff version of the band is it?) cater to the packs of tourists fresh off mammoth cruise ships and are not representative of Cuba’s contemporary music scene. 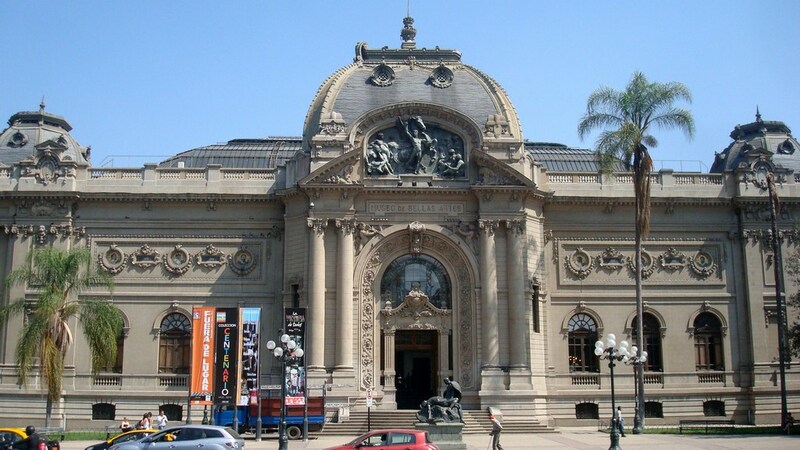 Instead, seek out Jazz en trance with its 30-year-old sax-playing band leader Denys Carbó Cedeño at Jazz Cafe or La Zorra y el Cuervo (The She-Fox and the Raven), or go dancing at Casa de la Musica. La Fabrica is the biggest new hot spot for the local techno/EDM scene—and for a weekend dance party. The Museum Nacional de Bellas Artes de La Habana is an obvious (and well worth it) attraction, with a mix of modern and contemporary art (some political, all impassioned), but don’t overlook the lesser known museums and galleries, like the Wifredo Lam Center of Contemporary Art, and the Taller Experimental de Gráfica in Old Havana, or the Kcho Estudio in Romerillo. And if you get the chance, visit the home studios of local artists like Frank Mujica Chávez. 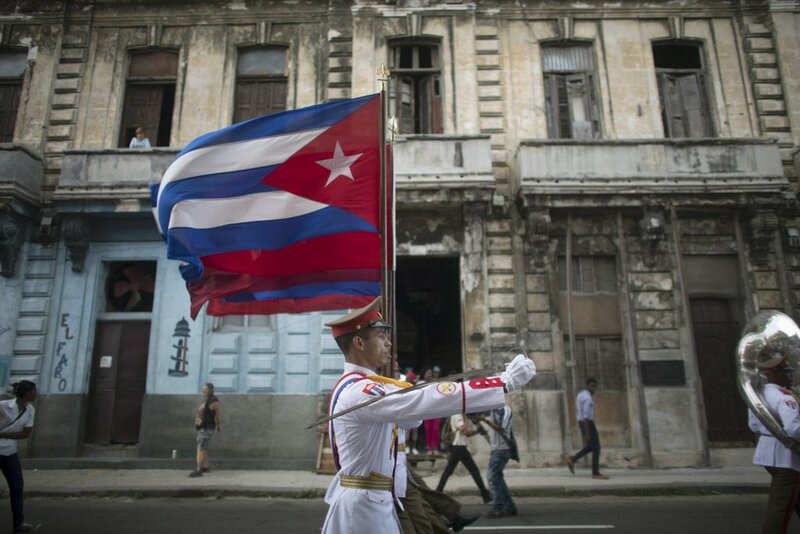 Cuba is not quite ready to accommodate the great influx of visitors coming to the country. 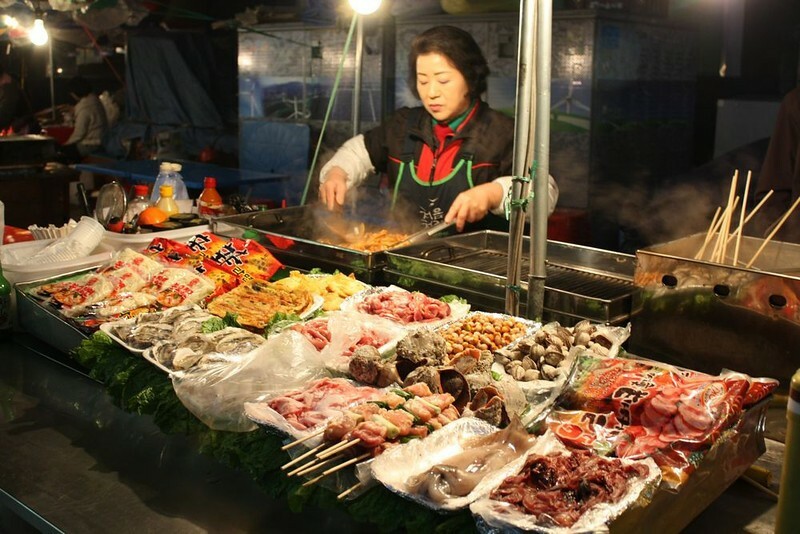 Not a single vendor, restaurant, or cab will accept U.S. credit cards, so bring enough currency for your entire stay. ATMs are scarce, and you don’t want to wait in an hour-long line to finally reach the machine only to realize that it has run out of cash. You can change it at the airport (consider changing your dollars to euros first, which has a lower tariff) or often at hotels. Wi-Fi is still a novelty in Cuba, and as such it’s extremely difficult to access. Most connections are unreliable at best, and you’ll pay for a full hour that may get cut off after just a few minutes. The fruitless search for Internet will ruin your trip, so take advantage of the circumstances to disconnect. That being said, if you desperately need access, know where to go: The Hotel Nacional has a Wi-Fi business lounge accessible to all visitors, and Hotel Melia Cohiba has regular Wi-Fi in its lobby as well. Cuba—with its crumbling monuments and decaying, paint-chipped houses—is beautiful. Its ruins transport you to another time and inspire a flood of emotion, but unlike the ruins of Rome or Petra, Cuba’s are less than a century old. And in this way, as in several others, Cuba confuses its visitors. The more you walk around, the more you see and you learn, the more questions you have. You will find certain aspect of its system wonderful—its education, cultural institutions, healthcare—and others frightful. You may come home wanting Cuba to remain the same, like a timestamp, while wanting it to change, to grow. 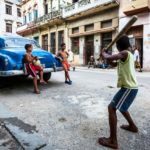 And while you may feel overwhelmed by the mix of emotions the country’s contradictions will spur, don’t let it get to you: this will simply mean that Cuba has had the unique impact that makes it such a longed for, curious, and fantastical country. It simply means that Cuba fulfills the purpose of travel in the most perfect way. blogs in this kind of area . Exploring the web I finally stumbled upon this site. good weird feeling that I came upon exactly what I wanted.